I enjoy spending time cooking and baking. I like my kitchen to be equipped and organized as simply as possible. I have no desire for many small appliances in my kitchen. This does not mean that my meals will be of any less quality. Why should it? Generations before us had no choice but to live without these high tech gadgets and still managed to cook great meals. Eliminating items that we don't really need is also a great money saving idea. The following are 10 small appliances which I personally feel are useless to own. I have also listed the alternatives which I use instead. I do love and drink coffee. For me instant is satisfying so I use a teapot to boil water on the stove. It is very rare that I have an urge for toasted bread. When I do the oven does just fine. It really is no more time consuming to just take the regular small hand held ones. I will soon be making my own bread. I will go the same route that I remember my mom baking which was the oven. We try to eliminate as much fried food as possible. If I do make a batch of fried food I use a fry pan. It is not at all dangerous if you are paying attention to it. Our youngest is 7 months old and has just started on solid foods in the last month. Steaming the vegetables and blending them works really well. I make many desserts which require alot of mixing. For me a handheld mixer is adequate enough. This is not needed to make ice cream. I make ice cream in our blender. It comes out very creamy and tasty. I have absolutely no use for one of these. What leftovers need to be warmed up goes in a pan and re heated on the stove. 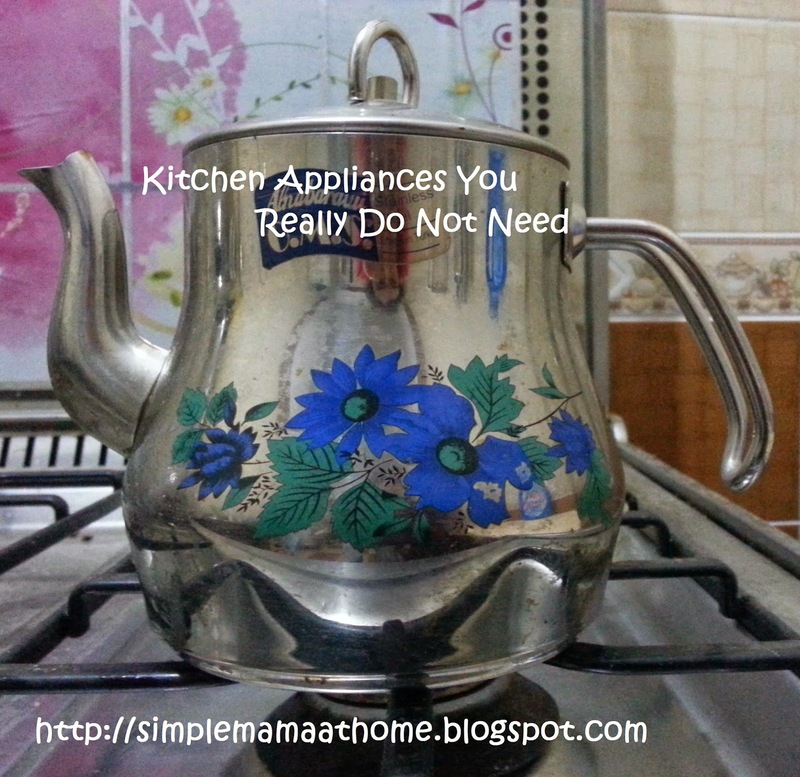 What small appliances could you do without? I don't need 3-9, but I need 1,2 and 10. Who wants to heat up the house making toast or warming up left overs. To hot to use stove or stove top. Too hard to clean a tea pot. I shared in G+ and tweeted! I could never do without my grill, microwave, and Keurig. The others I could! I could do without a lot of things, but I don't think I could live without my little countertop oven. I use it a few times a day. Have to say I disagree with you. As a housewares advisor to homeowners for the last 14 years, there are reasons for these products that make them incredibly useful in a kitchen. Using a handheld electric mixer a lot vs a stand mixer will burn out the handheld much faster. It's not designed for the same kind of use as a stand mixer.